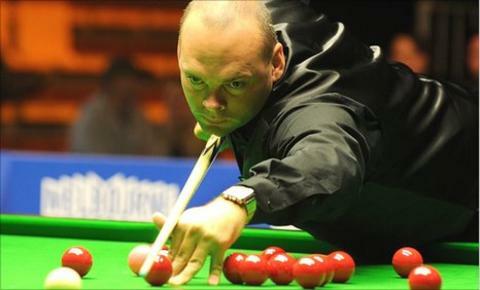 But Bingham clawed his way to the title with a tremendous rearguard action. After pouncing on an error by Williams in the 12th and making the most of a fortunate snooker in the 14th, Bingham compiled a break of 70 to reduce the deficit to a single frame. Another big break restored parity and, after a cruel deflection appeared to deprive Bingham within sight of the line, he finally sank a green to seal victory.